Girl power skyrockets to a whole new level, thanks to these ladies. The list of powerful and brilliant women in the world of Hollywood could go on forever. Every one of these women has become role models for girls all over the world, and they are always fighting for a better tomorrow. I couldn't be more thankful for that. Rodriguez is a powerful Latina who stars in the CW’s "Jane the Virgin," which is one of the best shows I’ve ever watched. It deals with controversial topics and political issues that are very relevant in today’s world. Just like Jane, Gina Rodriguez is not afraid to speak up for what she believes in. You will often see her on the red carpet discussing how little minorities are represented in Hollywood and the media. Rodriguez also posts “#MovementMondays” each week on her Instagram that features a young man or woman of color who is making a change in today’s world. This woman is the epitome of a comeback. She struggled with addiction and mental health issues, but ultimately got help and is now living her best life. She is a role model to anyone who is struggling, and she has proven that admitting you need help is the first step in the right direction. Lovato also promotes body positivity and has taught many young girls and women to love their bodies. She often photographs herself with no makeup and encourages everyone to be proud of who they are and how they look. If you want to learn more about Demi and her past, I highly suggest watching her documentary on YouTube, titled "Demi Lovato: Simply Complicated". She is truly an inspiration. Rhimes was named one of Time magazine’s 100 People Who Shape the World in 2007, and she has been keeping up that image ever since. 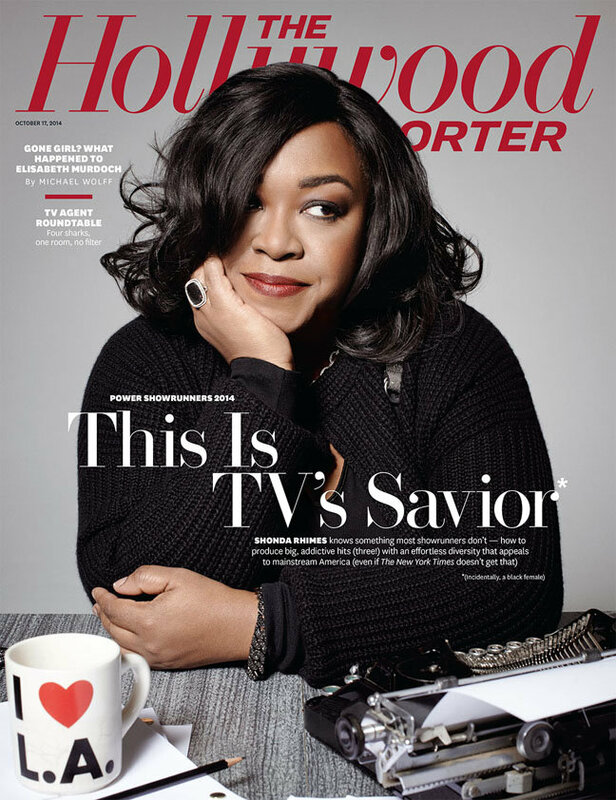 She is an executive producer, showrunner, and director for some of the best shows on television, including "Grey's Anatomy," "How To Get Away With Murder," and "Scandal." She is the only person in television to have three shows premiere in one night. You can tune in Thursday nights on ABC to see the amazing work this powerhouse does. Hollywood is dominantly filled with white males, and with Rhimes being an African American woman, she is breaking down those dominant walls. She is an incredibly inspiring and powerful woman that people of all races can look up to. Witherspoon is a force of female empowerment. She was a very early supporter of the #MeToo and #TimesUp movements and is a role model to many women in the industry. She has spoken out about her own sexual harassment experiences and continues to encourage other women to do so as well. Not only has she proved that she can play any role in any film, she is also one of the few women in Hollywood that have a hand in producing movies and shows. She is an icon for any woman looking to become a part of the male-dominated industry that is Hollywood. 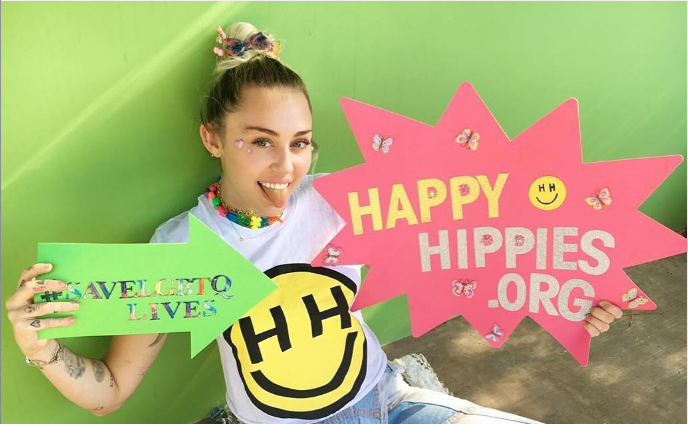 Cyrus started her own foundation called “The Happy Hippie Foundation”, which focuses on suicide prevention, helping homeless youth, and supporting LGBTQ communities. She has raised hundreds of thousands of dollars for these causes and continues to create a positive world for people of all genders, races, sexualities, and religions. Cyrus is always supporting any cause that can help make the world a better place. She just recently performed her song “The Climb” at the March For Our Lives event held in Washington, D.C. If there is an effort in need of support, Miley Cyrus will always be there to lend a helping hand. Watson is a brilliant female who does everything with passion. She is an activist for women's rights and gender equality and is always supporting the #TimesUp movement. She was appointed a UN Women Goodwill Ambassador and uses her power to promote the importance of education for young girls in countries like Bangladesh and Uruguay. Watson continuously works to create a better world for all young girls and women. 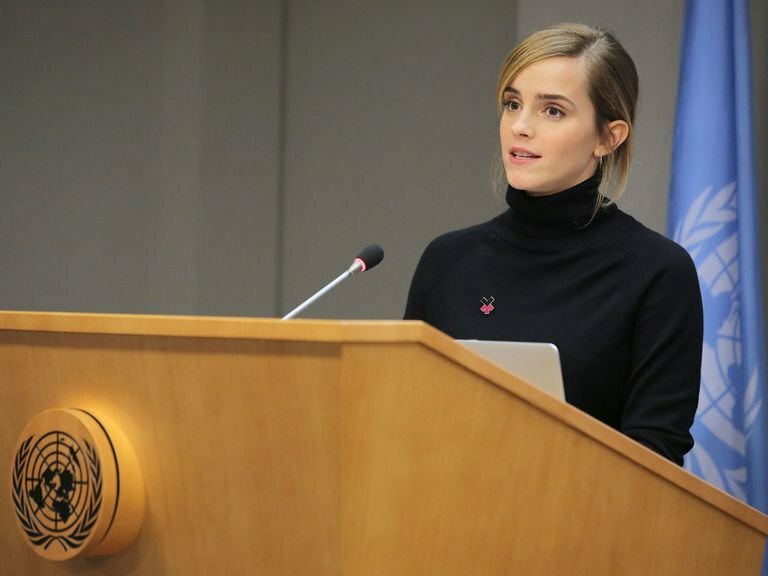 You can often find her giving speeches about her HeForShe campaign, which calls out men to start advocating for gender equality. She is an important figure and has no doubt made change for women growing up in this day and age.